With the event of mixed martial arts (MMA) becoming mainstream in the media, more and more people are looking to martial arts and self-defense classes as an alternative to the usual gym and fitness routine. At Fresno Ultimate Martial Arts, we have been training in and teaching martial arts long before the media hype. We proudly bring forth this tradition to new generations of martial artists by offering a variety of classes to our students. The Fresno Ultimate Martial Arts Plan: To Help You Achieve Your Goals. Fresno Ultimate Martial Arts teaches traditional martial arts in a modern fitness environment. The students in our programs experience a number of life-changing physical and mental benefits. Today’s world keeps getting tougher for teens. 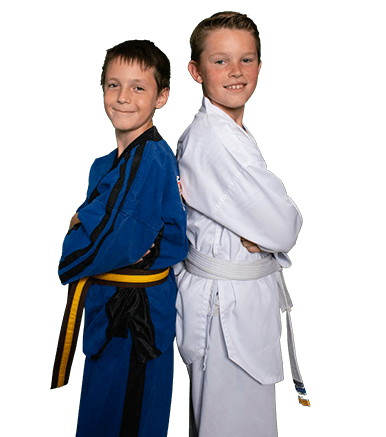 Here at Fresno Ultimate Martial Arts, it is our goal to create a safe and encouraging learning environment, where they can learn self-defense, discipline and confidence without being ridiculed for their mistakes. Our classes are an excellent way for teens get involved with peers that share similar goals and standards. By expanding their network with positive influences, they'll be able to maintain accountability and increase their social-skills. Brazilian Jiu-Jitsu is one of the most effective martial art forms for self-defense. BJJ teaches you to use leverage, positioning, locks and chokes to neutralize larger and stronger opponents. You'll get fit as you learn to defend yourself from attackers in real life situations. Come find out what makes BJJ such a useful and exciting art. All levels welcome! • An ultra-calorie burning workout in a fun and engaging atmosphere. • A complete workout experience, strengthening and toning while building endurance and functional fitness. • Exercise that focuses on your physical, mental and emotional health. • A way to stay engaged in your exercise every day, and measure your progress along the way. • Limited class size, ensuring that we can offer one-to-one attention focused on making sure your form is safe and correct.